A few interesting things have come across my desk this week which I would like to highlight in brief for their relevance to the DSA mission. The B&W mPower Small Modular Reactor, which I have previously profiled in the Decarbonise SA Energy Plan, took a nifty step forward with a signed letter of intent with Tennessee Valley Authority to build six of these reactors. You can read more about it here. Over coming years we should see more and more certain information about this design emerge; I’ll be watching out for it. I think this design does an excellent job of addressing the concerns of many about nuclear power, but as promised dear subscribers, it will be far from the only option I will be highlighting for SA. 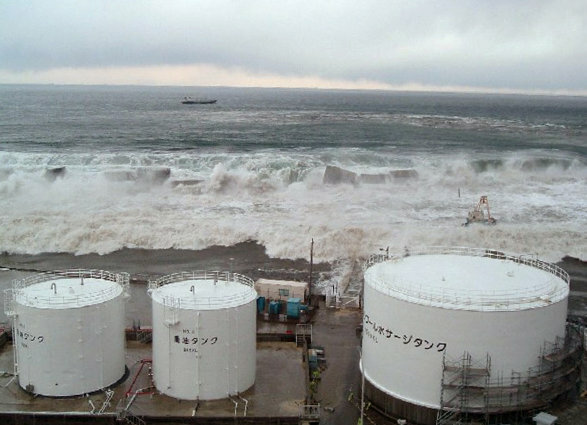 On the subject of concerns about nuclear power, the scale of TEPCO and Japanese government incompetance and negligence was writ large this week with the revelation that the tsunami plan for the Fukushima plant was 1-page, estimated a maximum wave height of less than 6m (the tsunami was 15m) and grossly underestimated the size of the potential quake. No complex analysis required from me here, this is simply disgraceful. I hope more nuclear proponents as well as the industry itself will be quick to denounce this, and provide evidence that such as lax approach to natural hazard does not typify the industry. I remain struck by the fact that in the face of both shocking mis-management and a gargantuan natural impact, the 40 -year old plants themselves held up very well, a point I made publicly in the week following the incident, and something that brought George Monbiot around on the nuclear issue. Had the back-up power supply been adequately protected as the reactors were, this situation would be very, very different. I realise that is pure nuclear Pollyanna for some, but it seems a reasonable conclusion to me that the actual nuclear technology was remarkably robust. I hope forward decision making takes this into account. In some non-nuclear energy news, under much encouragement (to put it politely) from a contributor to the YouTube video thread, I checked out news of the development of an artifical leaf, that uses ambient light to split water into hydrogen and oxygen, for combustion in a fuel cell. Here is a short video about this. What a remarkable piece of work and a harbinger, I hope, for a revolution in the potential of solar power. I am repeatedly getting the impression from those in the know that photo voltaic and concentrating solar thermal technologies are beginning to run up against some pretty hard efficiency and cost limits. This is not good, because even in sunny Australia, the financial and reliability case for large scale solar in 2011 remains pretty ordinary. So to see solar technolgical revolution, rather than evolution, is very good indeed. As a micro system, it will require serious volume to have an appreciable impact, so it is good to know that Tata Corporation have bought in. In my opinion, the system profiled in the video will have limited application for decarbonsing in 100% grid connected SA. Centralised solutions seem the more obvious route. But it is clearly going to have a focus in off-grid applications first, where it could do enormous good in remote areas of developing nations that might skip fossil fuels and avoid costly transmission infrastructure. It’s something to watch and, from a global perspective, great news that I am happy to share. Yes, TEPCO’s tsumami response plan for Fukushima was woefully inadequate. But the ABC’s report on it was also quite unfair, in that it failed to point out how even expert seismologists failed to envisage the magnitude of the quake and tsunami that eventuated. (http://www.agu.org/pubs/pdf/2011EO120002.pdf). TEPCO can be blamed for many things, but surely not for taking what the expert consensus was telling them about tsunami risk at face value. Actually I disagree. While that rounds out my understanding of the situation, my normal expectation, at least in OECD, is that operators of such facilities take expert advice and then do a substantial safety over-build, to account for the Black Swan event that may happen on their watch. Unless such an overbuild was done, I am not inclined to let them off the hook one bit. Any comment? Yes, this is arguable, though it should be borne in mind that a magnitude 9 event (i.e. what happened) is over thirty times more energetic than a magnitude 8 (the expected maximum), which raises questions about what can reasonably be considered a ‘substantial safety over-build’. However, my main beef was that the ABC should have at least canvassed the issue as we are doing here. They were fairly lengthy reports, it’s not like there wasn’t time. Well the thing about nuclear technology is that the whole risk profile is, or ought to be, weighted towards those very low chance, catastrophic outcomes. So yeah, one should think that a mag 9.0 earthquake is possible in Japan, given that multiple mag 8+ earthquakes had been recorded in the 20th century. In crikey today, there was an article noting that the pacific coast of Australia is not immune to tsunami. Something that SA doesn’t have to worry about of course. Very much so. Given that the actual reactors withstood the quake and tsunami event remarkably well I think makes my point that the underlying engineering of the plants is incredibly robust. But from a planning point of view they totally dropped the ball by allowing the backup power supply to be washed away. I shudder to think what this may cost us in the fight against climate change. Is there any market research about whether people respond more positively (or at least less negatively) to small reactors as opposed to large reactors? Not to my knowledge, but I should check. It would be a worthwhile area to get some data on. There are quite a large sample of surveys from around the globe that show that regardelss of the size of the reactor that people living next to one have a high (80% range) favourability to Nuclear Power. While NIMBYism exists, it’s like a rollercoaster. Anxious before going on, to wanting more after the ride. This is multi-jurisdictionally proven. That’s why it’s important to look at where surveys get their responses from on a jurisdicitonal basis. It’s also true for Uranium Mining, where people in SA are more favourable to it compared to their counterparts int he East. 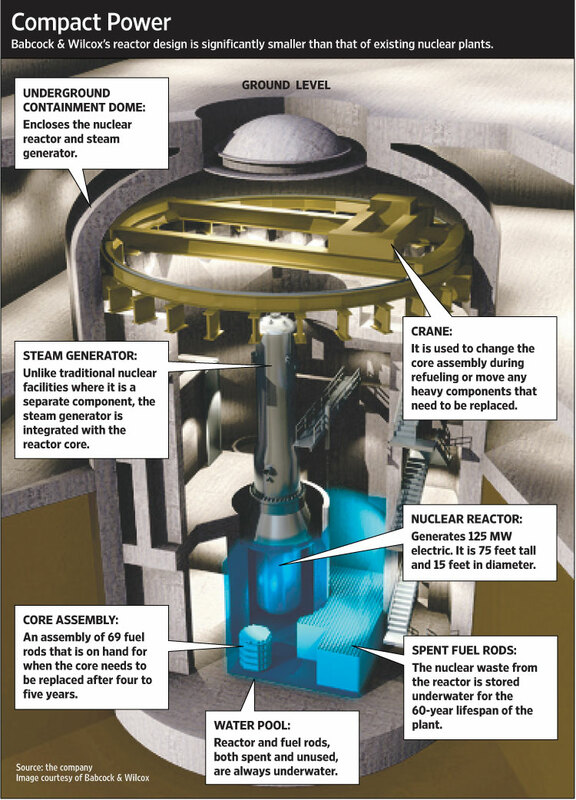 Maybe the smaller reactors may make this transition easier? On the article it may be beneficial for the other Energy Utilities in Japan that have Nuclear to release statements of ‘dissapointment’ towards TEPCO. There are issues with doing this but it chould break up that generalised “nuclear industry (as a whole) is bad, look at TEPCO” argument. Every industry has it’s bad eggs. Centralization and Grids are inefficient in that there is a significant amount of power loss in transmission (5%-7% – as far as I can tell). Solar is a localized power source and excess power can be plugged into the grid for use elsewhere. Get ready, the revolution is just about to begin! That all sounds like great news on the solar front, and I would be very happy for you to keep feeding me the latest and greatest. I do certainly defer to MIT for the cutting edge, but the basis of my critique was a recent session of CEDA on South Australia’s Energy Future, featuring Professor Mary O’Kane who Chairs the Australian Centre for Renewable Energy, and other speakers with the thankless task of actually trying to get funding for large scale solar (other basis is several evidence based reviews of solar that can be found over at Brave New Climate). The upshot was that even in sunny Australia, the task is very, very hard, the economics pretty woeful (at present it is reliant on serious cash subsidy from government), and the space and resources that are consumed are far from inconsequential. O’Kane remarked that there is only minimal gains to be expected from these types of technologies. So come the revolution, because what we can buy now does not cut it by a long way. In the meantime, nuclear power is ready and able to do the job at scale, we just need to give our politicians permission. All true, but as ever truth is not the same as the whole story. Centralisation does have some advantages actually, but more to the point, it is what we have got here in SA. My refrain on decarbonisation is “all zero carbon technologies, deployed now, where their respective advantages and disadvantages dictate they should be”. In a setting like South Australia, there is no significant advantage, in the final analysis, of trying to retrofit 500,000 household with new energy systems, as opposed to providing centralised zero-carbon generation to feed the existing grid. It would be slow, expensive, inefficient and create much uncertainty. I would much rather see Tata Corporation focussed on bringing this tech to markets that badly need it, such as developing world settlements that have never had power, as opposed to incrementally providing wealthy Adelaidians with a new toy they don’t really need. As I have shown in my plan, three-four large investments in current nuclear technology and SA electricity is all but decarbonised. No they won’t, at least for as long as our civilisation continues to demand electricity outside the hours of 9 am-3 pm, and on cloudy days to boot. James Barber is the man who discovered the exact way that plants split H2O into H2 & O2. Barber WILL win the Nobel prize in Chemistry for this. It is as important as the discovery of DNA. It is Barber’s discovery that allowed Daniel Nocera to do what’s he’s done. I’m really wondering if people are grasping the enormous ramifications of these recent events. Videos generally don’t do it for me as a means of knowledge dissemination. Words, especially peer-reviewed literature are more my bag. And a quick scan of that tells me that the artificial photosynthesis (not really) described by Nocera has a long, long, long way to go. In terms of development as a commercial energy source, it looks to be about where nuclear technology was circa 1930. Worth pursuing, but most likely to be too little, too late as far as the magnitude and urgency of the decarbonisation task is concerned. Does it now? Just wondering – How do you perform a “quick scan” of “your bag” (peer reviewed literature) in an area of study (biochemistry, materials science, and biomolecular engineering) when you are fundamentally under-educated in those fields of study? LOL. Not even close. Technological innovation in materials science is occurring at an phenomenal rate (following Moore’s Law) and looks NOTHING like the fumbling, heavy handed research model of nuclear circa 1930. Nocera’s commercialization efforts (Sun Catalytics) have gone private via the extremely wealthy Indian industrial giant Tata. And there are more than a few billionaires waiting in the wings wanting a piece of this one. Stephengn the above quote does more to confirm Mark Duffett’s suspicions than to support your assertion that “this stuff is right around the corner”. The following link describes what the prototype stage in a products development is all about. In many fields, there is great uncertainty as to whether a new design will actually do what is desired. New designs often have unexpected problems. A prototype is often used as part of the product design process to allow engineers and designers the ability to explore design alternatives, test theories and confirm performance prior to starting production of a new product. Engineers use their experience to tailor the prototype according to the specific unknowns still present in the intended design. In others words: maybe it’ll work; maybe it won’t. While I’m very interested to see how this pans out, I’m just not prepared to hold back on nuclear power now, so I can gamble our future on a very uncertain maybe. I’m sorry sir, It does no such thing..
Mark Duffett compared today’s prototyping progress with the prototyping process of the 1930’s nuclear. This is an extremely faulty comparison. The fundamental design that Nocera has developed is astoundingly simple and Nocera himself has asserted that he sees commercialization beginning in 3 years or so. No – it DOES work. the basic technology has been working in the relatively dirty water of the Charles river for quite some time. Right now they are working on a secondary catalyst and tinkering around the edges, but the fundamentals are rock solid. Quoting Wikipedia on a generalized view of the process of prototyping in an attempt to dismiss a breakthrough of such potentially paradigm shifting proportions is both easy and lazy. One must OF COURSE look at the specifics of the PARTICULAR technology in question to gauge that technology’s promise. This is NOT some start up out of a garage in Newark, NJ. These are some of the brightest minds across 4 separate but CONVERGING fields of study. You guys can continue to ignore the obvious synergy here if you want, but the future might just be getting ready to leave you behind. It is a common (but mistaken) belief that Moore’s Law makes predictions regarding all forms of technology, when it has only actually been demonstrated clearly for semiconductor circuits. As the old comparison goes, if Moore’s Law applied to, say, cars, we’d all be driving machines that travelled at supersonic speeds and got 9000 km to the litre by now. And the ‘biochemistry, materials science, and biomolecular engineering’ of Nocera et al. is much more akin to internal combustion than computing. O.K. I can see this argument going on forever since you continue to misunderstand the point I’m trying to make. I’m not questioning the researchers results or credentials and I’m not dismissing the technology outright. I am simply pointing out that it is in it’s infancy. When, in three years time, the results come in from the first commercial scale demonstration, I will be very interested. If it shows the technology can produce the same amount of power, with the same reliability for the same or less cost as nuclear power then, politically speaking, that would be a God send. Right now though, around the world, new coal plants are being built every day. They could be and should be nuclear plants. To think that people who profess to care about climate change are prepared reject a proven, mature, zero emissions coal replacement like nuclear power on the basis that a new unproven tech is “only a few years away”, when those few years will mean hundreds of new fossil fuel plants, is just incredibly disheartening. I agree, it is in it’s infancy. And I’m sorry if my position is disheartening to you. It shouldn’t be. It should be uplifting!! Yes, Nocera’s water splitting tech is in it’s infancy. But his tech is only part of the overall solar tech equation. All I’ve said is that a technological infancy is not what it used to be and that this particular infant was born with a silver spoon in its mouth and is VERY unlikely to fail. Australia’s population will only grow by near 2 million by 2025 and Australia MIGHT be able to pull of the political muster to build one or two IFRs by then. If so GREAT!! More power to you (literally). Australia already has a grid infrastructure in which to fit the new IFR’s. Nuclear is a grid necessary power source AND most of the developing world currently does not have a grid infrastructure. Soooo just to accommodate nuclear, the developing world will have to built an enormously expensive AND enormously CO2 intensive infrastructure. Solar on the other hand has the capacity to be grid-less. Deploying it in place of gridded energy tech will, IN ITSELF, reduce CO2 output. Don’t by downed by this – DANCE!! Are you seriously saying that the bit of me quoted is false? That photolytics is more like computing than internal combustion? The ‘akin’ refers to the fact that both are dealing fundamentally with chemical reactions. Not floating-point operations. I stand by my statements. Yes sir, Mark. I yield the point to you. Very gracious of you, stephengn. Needless to say, on the wider issue, I hope that you are right, and I am wrong.